"Vitra DSR with seat cushion Eames Plastic Side Chair"
Material: dyed polypropylene seat shell, the fading by UV radiation is slowed by special additives. In cooperation with Zenith Plastics the contemporary production of the famous Fiberglass Chair, the Eames Plastic Side Chair was created for the "Low Cost Furniture Design" competition. The contest was at the Museum of Modern Art from New York. The Eames Plastic Side Chair DSR is the combination of an individually usable seat shell with a braced base of metal in two selectable versions: Basic Dark coated or chrome plated. For the production of the seat shell of the Eames Plastic Side Chair DSR, recyclable Polypropylene DSR Plastic Side Chair is used. With the models of the Eames chairs made of polyester resin, Charles and Ray Eames introduced the first serial production of a plastic chair. Early on the company from Wheil am Rhein recognized the quality of the chairs and took the production to Europe. For reasons of sustainability, the production of the Eames Plastic Chairs was stopped for the time being because the use of polyester resin was no longer justifiable from an ecological point of view. As of 1999, the most suitable and environmentally friendly polypropylene was used to manufacture the seat shells and the production of the Eames Plastic Chairs was resumed. Undoubtedly, the designers Charles and Ray Eames are among the most influential designers of the 20th century. Born in 1907 in St. Louis, Charles and Eames and his wife Ray Kaiser Eames, who was born in 1912, have gained worldwide recognition for their great influence in the area of furniture design and architecture. Charles and Ray Eames got to know each other through their collaboration at the Cranbrook Academy in Michigan. Charles Eames designed works of molded plywood together with Eero Saarinnen. Ray Eames assisted the designer duo. At the Organic Future Competition they occupied the first place with their designs twice. In 1941 Charles and Ray married Eames. Their common success story should follow. 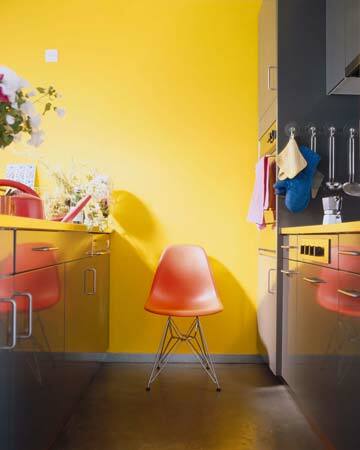 The Eames Plastic Side Chair is a timeless classic and part of the famous series of Eames Plastic Side Chairs. It is available in various variations. Several UV-resistant colors are available for the seat shell. The individual assembly of the Eames Plastic Side Chair is complemented by the choice of additional Hopsak seat upholstery or the optional full upholstery. As a multifunctional chair, it integrates perfectly into living areas, is with its simple elegance and the discreet design but also in conference rooms or in cafes and bistros a real view. 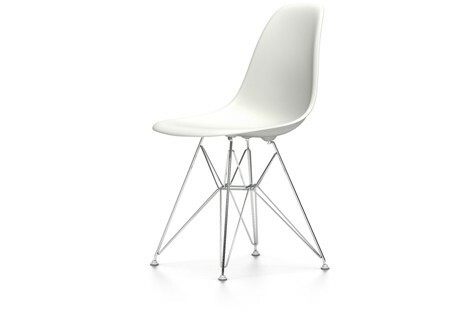 Vitra sells the Eames Plastic Side Chair in Europe and the Middle East. The manufacturer's legitimacy ensures that you own the original Eames Plastic Chair. The average body size has increased by 10cm since the 50s. 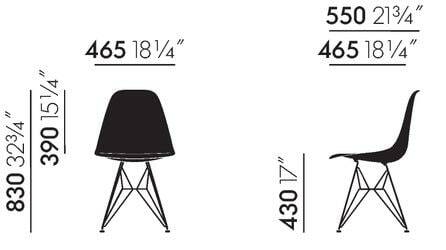 The manufacturer has responded to this development by increasing the seat height of the Eames Plastic Side Chair to 43cm. The cleaning of the plastic surfaces is recommended with a neutral cleaning agent and a soft damp cloth. The undercarriage and the seat cover are also freed from stains. Dust and lint can be removed from the seat cushions by suction. 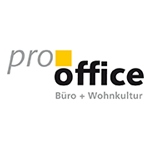 Related links to "Vitra DSR with seat cushion Eames Plastic Side Chair"
Customer evaluation for "Vitra DSR with seat cushion Eames Plastic Side Chair"